Ben Cameron is the Program Director of the Dorris Duke Charitable Foundation and supervises grant programs for the performing arts. In his recent TED Talk Cameron discussed the role that technology has played in how we consume performing arts today and also who participates in them. He sees a paradigm shift that blurs the line between professionals and amateurs, with less of a separation between performers and audience. Frankly, what we’re seeing now in this environment is a massive time, when the entire world is changing as we move from a time when audience numbers are plummeting. But the number of arts participants, people who write poetry, who sing songs, who perform in church choirs, is exploding beyond our wildest imaginations. This group, others have called the “pro ams,” amateur artists doing work at a professional level. You see them on YouTube, in dance competitions, film festivals and more. They are radically expanding our notions of the potential of an aesthetic vocabulary,while they are challenging and undermining the cultural autonomy of our traditional institutions. Ultimately, we now live in a world defined not by consumption, but by participation. The blues has been, and continues to be, an important influence on jazz since the early part of the 20th century. This podcast will briefly discuss the blues as a form, style, and genre and show some ways this rich and expressive music has impacted jazz. You can download this podcast by clicking here and on my Podcasts page. You can also subscribe to my podcasts through iTunes here. Last weekend I had the pleasure of directing the North Carolina Western Region Honor Middle School Jazz Band out at Lenoir-Rhyne University. The students worked extremely hard for me, were very well behaved, and improved remarkably over the two days. Here’s a video that was taken during the performance. The whole concert was taped and can be viewed here. 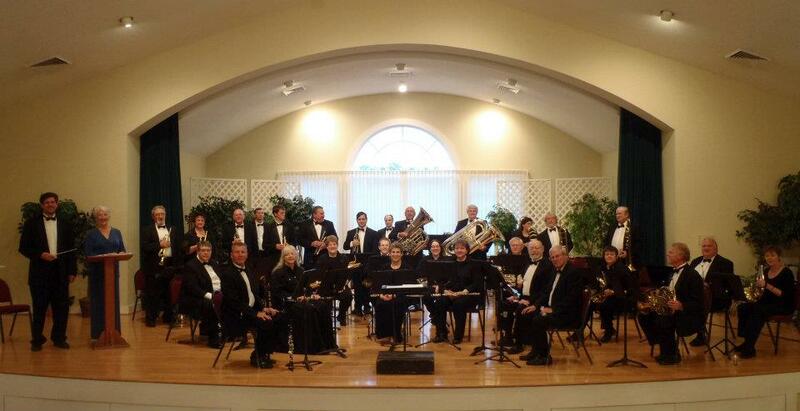 For those of you living in western North Carolina, I’ll be conducting the Land of the Sky Symphonic Band in concert tomorrow night (Friday, February 24, 2012) at Calvary Baptist Church (531 Haywood Road in Asheville, NC). The concert starts at 7 PM and is free, although we will be collecting a good will offering for the band. I like to program a variety of literature for any ensemble and tomorrow night’s concert is no exception. There are some standard concert band pieces, like A Festive Overture by Alfred Reed and Gustav Holst’s First Suite in Eb. We’ll also perform a very beautiful hymn setting by David Holsinger called On a Hymnsong of Philip Bliss and a neat march treatment of the Phi Mu Alpha hymn by Clifton Williams, The Sinfonians (Symphonic March). Monty Python fans will recognize John Philip Sousa’s The Liberty Bell March and if you like Glenn Miller you’ll recognize the medley In the Miller Mood arranged by Warren Barker for concert band. If you do get out to hear us please make sure to say hello to me after the concert. In blog posts lately I’ve been noting confirmation bias and its role in determining how teachers and players determine the best pedagogy or best way to practice. My personal example of fooling myself into thinking I could accurately predict a player’s embouchure type by looking at their anatomy alone is one example of what I mean by this. Crunching the numbers showed that very few of the physical characteristics I thought would be helpful predictors turned out to be statistically significant. There are plenty of other examples of how our biases can even change how we perceive the exact same performance. Science itself is a process which strives to distance ourselves from confirmation bias and control for it in such a way that we don’t fool ourselves. While conducting research for my dissertation some of the anatomical characteristics I looked at involved my test subjets’ tooth structure. Specifically, I documented how straight the upper and lower teeth were in each player and whether the player had missing teeth or gaps between the front teeth. I then looked at whether these specific features would make accurate predictors for a player’s embouchure type. It turned out they don’t, at least not the particular players I looked at. While reviewing the literature for my paper I did come across a few references to tooth structure and brass embouchures. Maurice Porter’s 1967 book, The Embouchure hypothesizes that a player’s “embouchure potential” is, in part, determined by the player’s dental structure, but his text is light on the details of his methodology and exactly how this is supposed to work. Lacey Powell wrote that a brass player should have “four good, long, and even teeth” in his 1982 article in The Instrumentalist titled The Embouchure Speaks. There are many sources that also mention how a player’s teeth affects the embouchure, but mostly references to finding a comfortable spot on the lips to place the mouthpiece so that a sharp edge or protruding tooth doesn’t dig into the lips. There are also all the stories and brass playing urban legends that talk about a particular player who fell down a flight of stairs and chipped a tooth only to discover an extra octave or two in range. A variation is that a famous high note player had a gap between his teeth fix and lost some of his range. I even personally know a trumpet player who admitted to filing his front teeth in order to make them shorter so they wouldn’t “get in the way.” I’ve heard from some credible sources that there is a grain of truth to some of these stories, but there are also many weaker players with the same dental structure and things like this aren’t a cure-all. In this third installment of my Appreciating Jazz podcast series I discuss my own take on how music from western Africa and western Europe blended together in the United States to eventually become the music we know today as jazz. You can also download and subscribe to my podcasts using iTunes here. Athletes frequently train strength and endurance by cross training with lifting weights or isometric exercises. A football player, for example, can get stronger simply by playing more football, but lifting weights specifically targets the muscles he wants to build without risking injury. Likewise, there are certain exercises that brass players can practice away from the instrument that will help build embouchure strength and control without the risk of playing too much and using too much mouthpiece pressure as you get tired. There are a few of these sort of away-from-the-horn exercises, such as the pencil trick, jaw retention drill, and the P.E.T.E. My personal favorite is free buzzing. Free buzzing is essentially buzzing your lips without using the instrument or mouthpiece. Some teachers and players discourage free buzzing as being too different from actual playing while others huge advocates of it. Like in many things, I feel that when done in a certain way with moderation free buzzing can be an extremely helpful exercise, particularly for players who have issues with their embouchure related to having too loose an embouchure formation or with things like bunching the chin or a smile embouchure. Here’s a short YouTube video I put together to demonstrate how I recommend practicing free buzzing. For anyone out near Hickory, NC this weekend you can come out and hear the North Carolina Western Region Jazz Clinic students perform on Saturday, February 18, 2012. The concert starts at 2:30 in Belk Auditorium on the Lenoir Rhyne University campus. I’m excited to be directing this year’s middle school honor jazz ensemble. Teaching middle school students has some challenges that you don’t have to worry so much about with high school and college students, but one thing that I find very refreshing is that getting everyone improvising is easy. At that age it seems that the students haven’t yet developed a fear of making up music on the spot, but when they get a little older they’re more likely to freeze up and never volunteer to take a solo. I’ve got an improvisation clinic I’ve put together particularly for middle school students that I’ll run them through and if things are going well, we might even end up composing our own chart this weekend to play on the concert. A couple of people who live nearer to Hickory than Asheville emailed me a while back about catching a lesson with me. If you drop me a line early enough I can schedule my travel plans so I can stick around a little longer in Hickory for a lesson. If that doesn’t work out, keep an eye out here as I’ve got some things scheduled in Winston-Salem in April. Here is the second installment of my Appreciating Jazz podcast series. This episode covers a little of the origins of the term “jazz,” how improvisation is important to jazz, and the instruments commonly found in jazz. You can download this podcast here. As I mentioned in my previous post on Part 1, I plan to make these podcasts and future ones accessible though using iTunes. As I work out how to best do this I may need to change around how I link to my podcasts. If, for some reason, the above link doesn’t work for you try downloading it from my Podcasts page.